Buy this item and earn 1,708 ClubPoints. 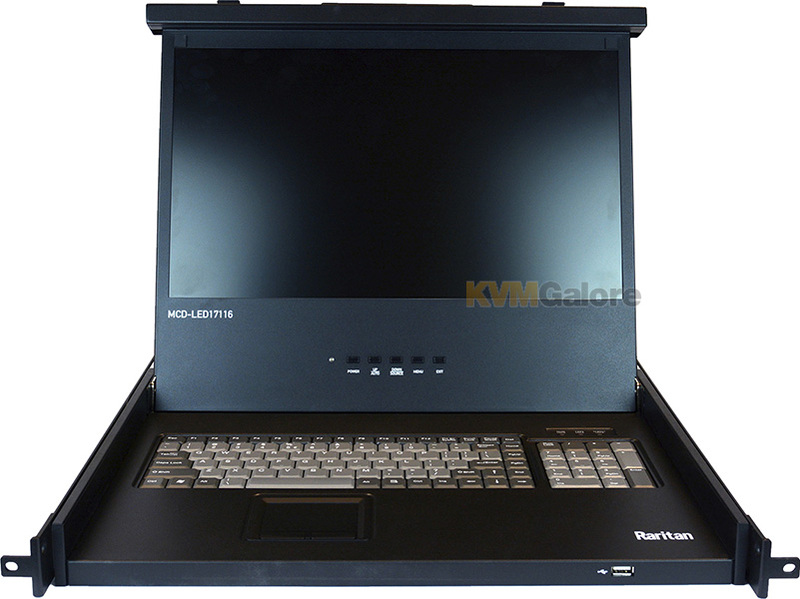 Raritan's MasterConsole Digital LED console drawer with integrated KVM switch (MCD-LED) consolidates access and control of multiple servers with a single console. 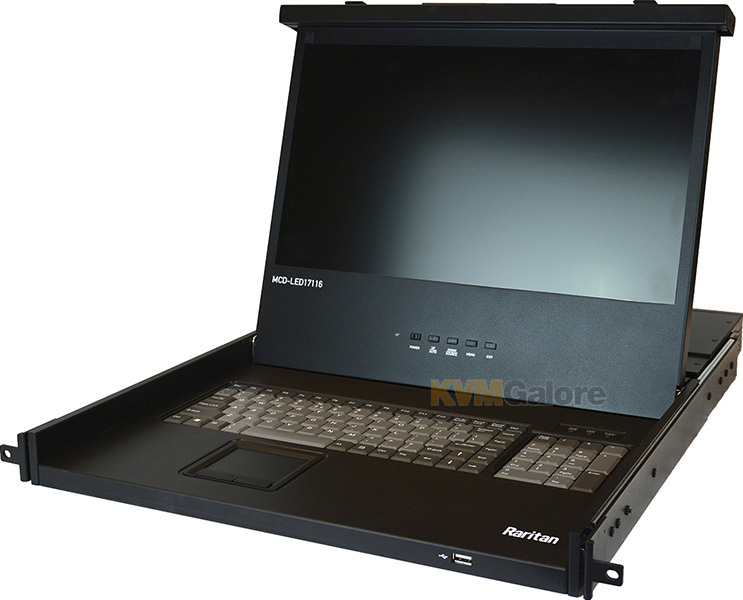 It features KVM ports for 8 servers and can be cascaded two levels to support up to 256 connections. MCD-LED switch uses standard Category 5/6 unshielded twisted-pair (UTP) cables or dongles for connecting computers. • Scalability/cascading. User can control 8 servers. 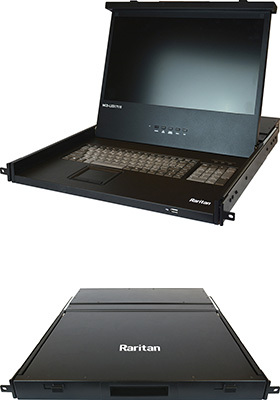 User can control up to 256 servers by cascading additional MCD switches. Listed below are additional products to consider which are compatible with MasterConsole Digital LED Console Drawer, 8 Ports. These items may be required to complete your system.